If you are in need of an ugly sweater football fans, look no further! 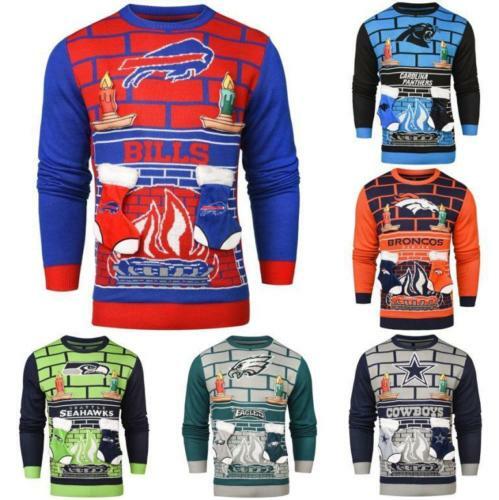 Finding an NFL ugly sweater is currently the number 1 trending search on eBay.com and you can find a huge assortment of styles here. Of course being from Buffalo I wanted to find the Bills! 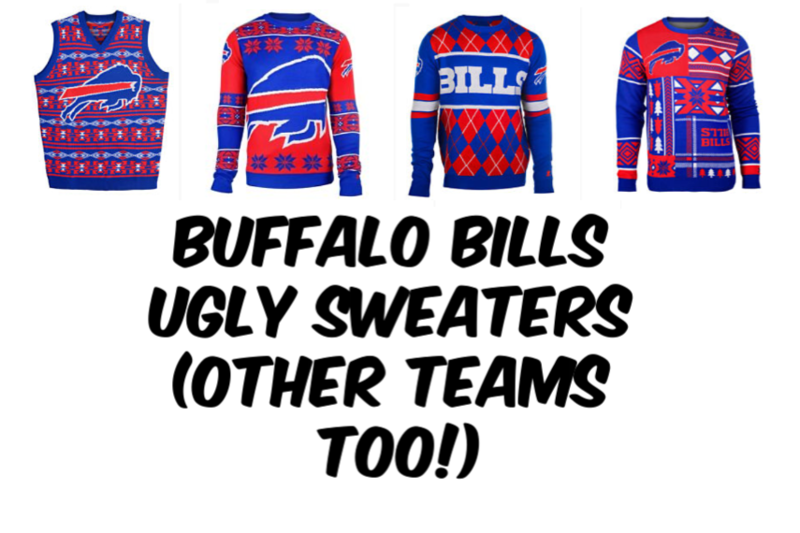 The seller "ClarkToys_com has a few Buffalo Bills ugly sweaters now on sale for 10% off here! 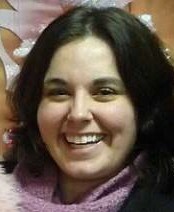 One of my favorite styles is this one, with stockings hung on the fireplace. 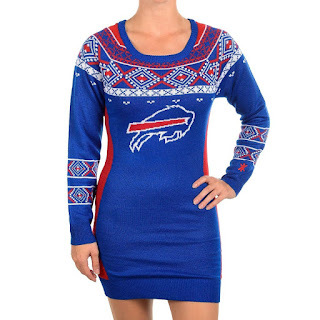 And ladies, check out this Buffalo Bills sweater dress!